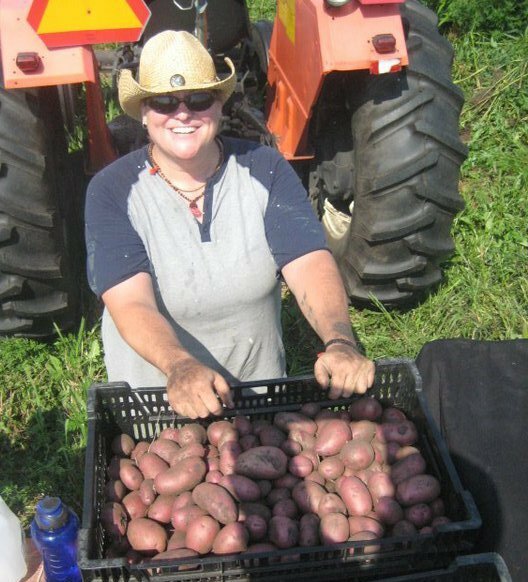 your farmers | bossy acres: local. sustainable. organic. well…first and foremost…know that we have a true passion for this! we strive to create and live a life of balance. a balance that allows us to enjoy the little things, while maintaining our solid work ethic and motivating us toward the bigger things. we value the environment and understand the importance of being good stewards of the land. and we get that in order to do so effectively, we need to focus on ways that bring forth sustainability. we’re experienced and we’re green all at the same time. we know enough to do right, to work hard, and to not let ya down. but we’re open enough, as well, to learn from those around us – to form community with our fellow farmers – new and old. and woven throughout all of that, we’re just two bossy chicks full of life and love; each bringing our own gifts and experience to the adventure. elizabeth has twenty years of journalism background and freelances for various consumer, trade, and corporate publications. 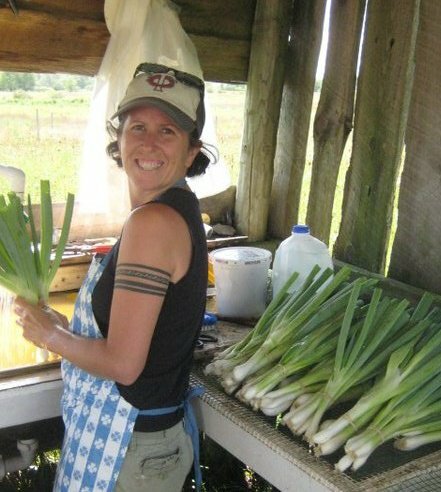 as a foodie that totally digs anything fresh, local, and amazing…..she especially loves writing for urban farm magazine, hobby farm home, and other food/farm related gigs. not only can she whip up an awesome article….her cooking is truly delish! and that, in itself, gives a whole new motivation to our passion for farming. then there’s karla …. the girl who grew up in the small, agricultural town over in michigan. the one who was bound and determined not to go into farming! the one that did the corporate thing for ten years with sales and marketing. and the one that, yes, ultimately came back to what felt right – what felt simple – authentic – and true. there’s just somethin’ about gettin’ your hands dirty…..workin’ hard and having something to show for it at the end of the day. and there’s definitely something about working for yourself …..the greater level of pride and dedication that you feel. once you get a taste of that …. you can’t go back.